pacastillo131 If a tree falls in the woods and there's no one there to cough in between movements, is that even music? 1 week 7 hours ago. 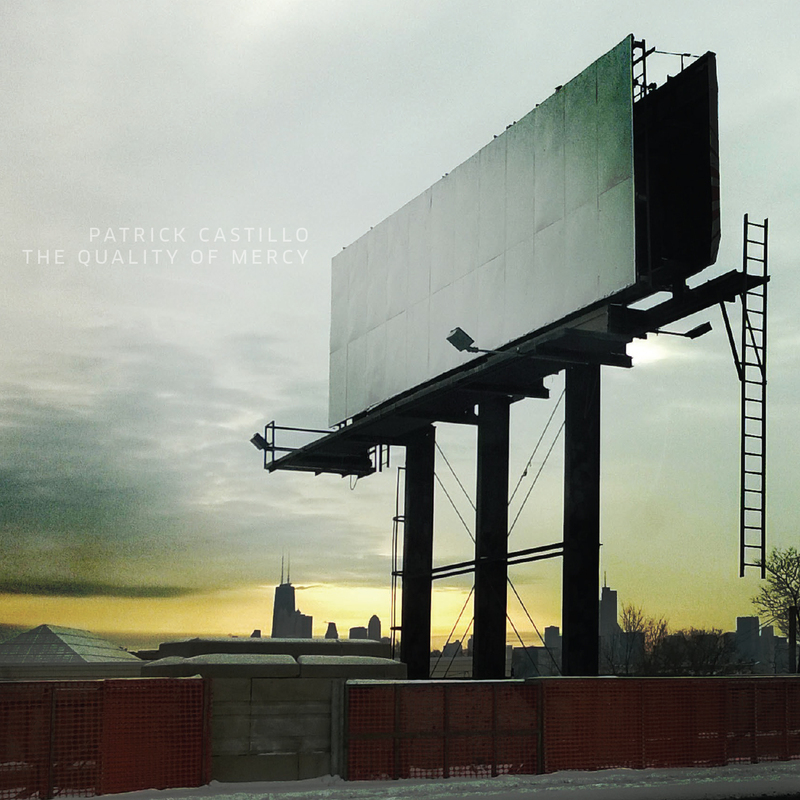 New York City-based composer Patrick Castillo’s debut album, The Quality of Mercy, presents two large-scale vocal chamber works featuring mezzo-soprano Abigail Fischer (“a passionate restraint that has no equal in her generation” –The New York Times) and a crack ensemble of some of the country’s finest chamber musicians. The album begins with This is the hour of lead, a solemn contemplation of death and loss. Bookended by settings of poetry by Dickinson and Yeats, the five-movement work charts the complicated emotional terrain of grief, anger, and acceptance through a pair of dramatic interludes and, at the cycle’s center, a rhapsodic vocalise. Complementing the representational nature of This is the hour of lead, the album’s title work, The Quality of Mercy, offers an abstract meditation on reconciliation. Deriving musical and structural content from plainchant (the Kyrie from the Mass for Pentecost), The Merchant of Venice, birdsongs, urban field recordings, and other sources, the work moreover explores the concept of reconciliation by integrating conflicting methods and materials: live instruments cooperate directly with electronic media, with much of the work’s soundscape constructed organically via live audio processing of acoustic events. Between these two works, the album features Castillo’s Webern-esque Cirque for solo violin, performed by Grammy Award-winning violinist Karen Kim. The album’s overarching concerns with poetry, color, austerity, and restraint as a means of expression are echoed in the album’s artwork, featuring photography by John Rose. In addition to Fischer and Kim, The Quality of Mercy features flautist Jill Heinke (Areon Flutes, REDSHIFT), clarinetist Moran Katz (First Prize, Freiburg International Clarinet Competition, Houston Symphony's Ima Hogg Competition), violinist Kristin Lee (Avery Fisher Career Grant, Chamber Music Society of Lincoln Center), violist Jessica Meyer (counter)induction, Q2 “Emerging Women Composers”), cellist Hiro Matsuo (Cincinnati Symphony Orchestra), pianist Lucille Chung (First Prize, Stravinsky International Piano Competition; Second Prize, Franz Liszt International Competition, Montreal International Competition), and percussionist Ian David Rosenbaum (Chamber Music Society of Lincoln Center, Sandbox Percussion, Pittsburgh New Music Ensemble). Patrick Castillo leads a multifaceted career as a composer, performer, writer, and educator. His music has been presented at festivals and venues throughout the United States and internationally including Spoleto Festival USA, June in Buffalo, the Santa Fe New Music Festival, Interlochen Center for the Arts, Berklee College of Music, Bavarian Academy of Music in Munich, Nuremberg Museum of Contemporary Art, and the Havana Contemporary Music Festival. He is variously active as an explicator of music to a wide range of listeners. He has provided liner and program notes for numerous recording labels and concert series: most prolifically for Music@Menlo, a chamber music festival and institute in Silicon Valley for which he served as Artistic Administrator for more than ten years. Castillo is a frequent guest lecturer at the Milwaukee Symphony, Chamber Music Society of Lincoln Center, Chamber Music Festival of the Bluegrass (Kentucky), ChamberFest Cleveland, and others. From 2010 to 2013, he served as Senior Director of Artistic Planning for the Saint Paul Chamber Orchestra. He is founding composer & managing director of Third Sound.